Today was a great example of how diverse a day can be as a Mount Vernon Life Guard Fellow. As a teacher fellow I have the ability to decide how I want to spend most of my time here at Mount Vernon. The education staff here at Mount Vernon though will help you schedule and contact any potential staff member at Mount Vernon for a meeting. Since my project is focused on archaeology, the Mount Vernon education staff arranged several meetings for me during my first week with the archaeology staff here. These meetings have been extremely helpful and the ability to sit down and visit with experts in their field is a valuable and unique opportunity. 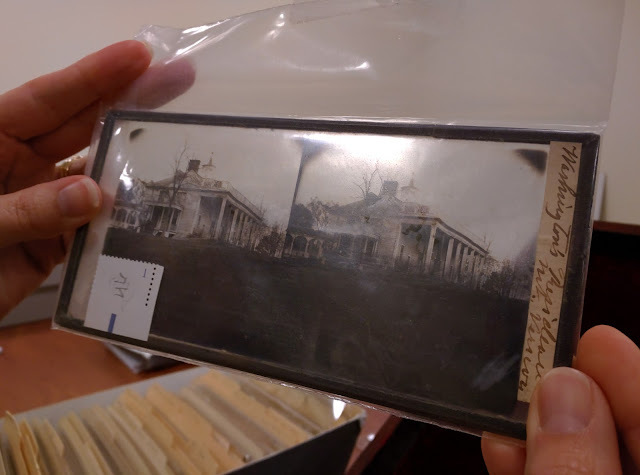 In addition to the natural connections, archaeology staff for example for my project, I also requested if I could meet with Mount Vernon staff members in areas that I have a particular interest. I am an unabashed History Geek. I love any intersection in which technology and history collide. Today I had meetings with experts in the areas of historical photo preservation and GIS (Geographic Information Systems) because I love those topics. My first meeting this morning was with Dawn Bonner, Photo Services at Mount Vernon. Dawn also happens to have graduated from my alma mater - the University of Nebraska at Kearney - and we actually attended UNK at the same time. Go Lopers! 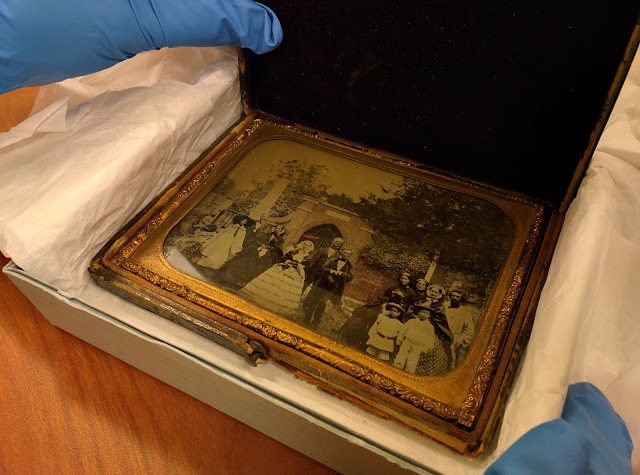 Dawn helps to ensure that the collection of images Mount Vernon has as well as managing requests to use and license images of Mount Vernon. Dawn described that having an image often creates a variety of questions. Who is in the picture? When was it taken? Who took the picture? Why was the picture taken in the first place? Clues like the size of trees or if specific items are located on the sides of buildings can help narrow down the process. 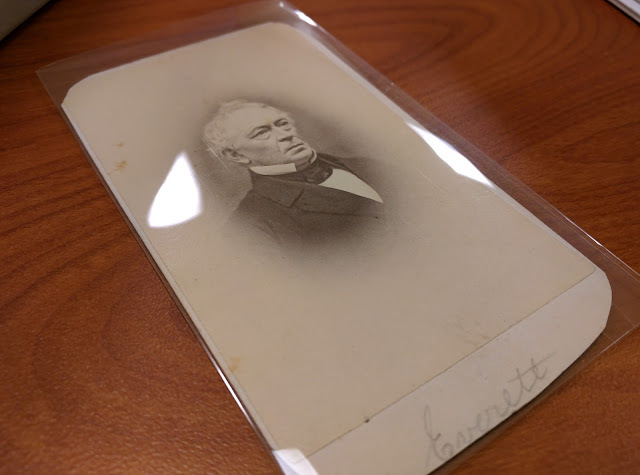 She showed me some images in the collection ranging from daguerreotypes, cabinet cards, stereo cards and carte de viste cards from a Mount Vernon collection. 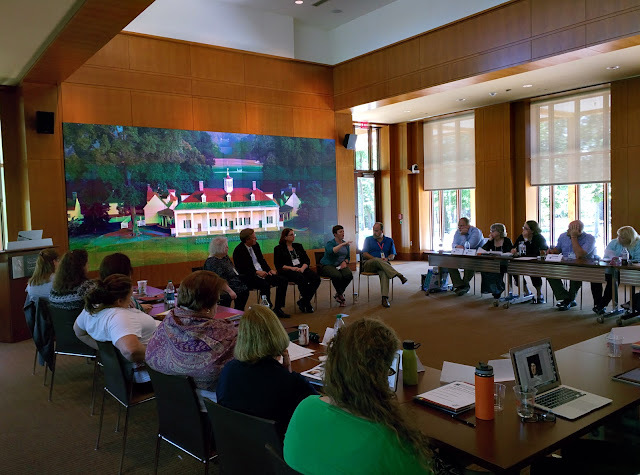 This week Mount Vernon is also hosting one of their teacher institutes, a week long workshop with teachers from around the nation here to learn more about Washington. Their schedule is full of speakers, field trips and discussions. I sat in on the end of a lecture by Edward S. Lengel, the author of Inventing George Washington, as he presented on the presidency of George Washington. After lunch a met with Eric Benson, GIS Manager at Mount Vernon to discuss how Mount Vernon uses GIS technology to both interpret the past and preserve the future. As a geek that loves Google Maps and geography tools this is fascinating to me. 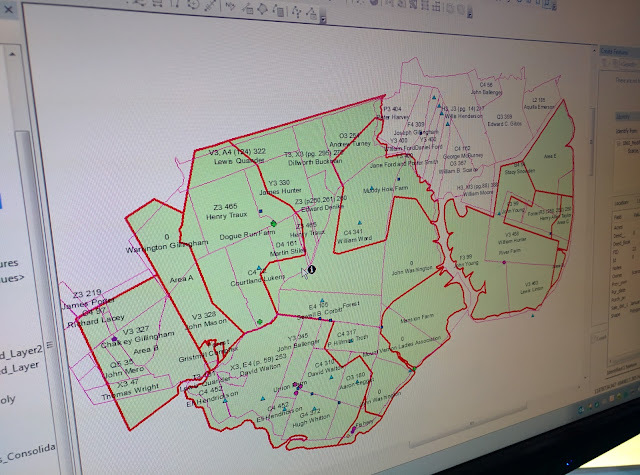 Eric showed me examples of how GIS technology is current being used to essentially inventory all the information known about the building and grounds on the estate which can then be used for a wide variety of uses. 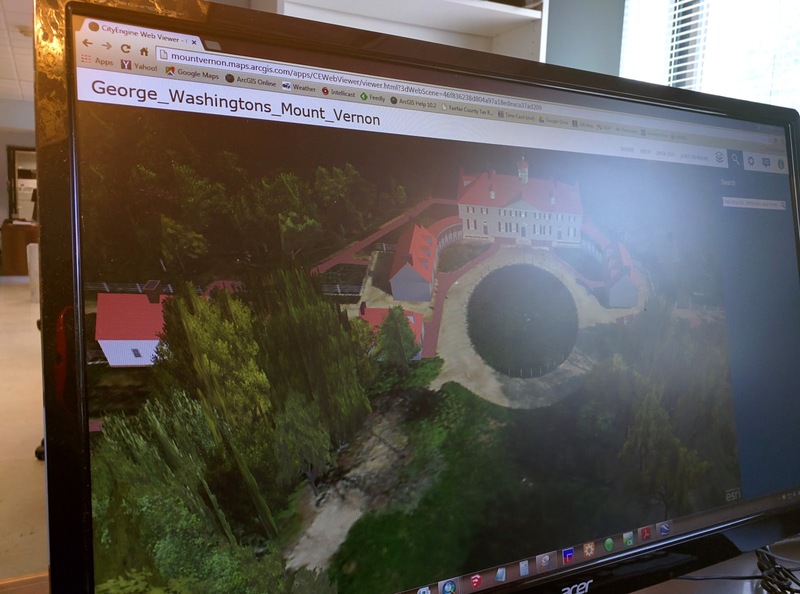 GIS application of the Mount Vernon mansion showing the location of every "door"
I thought one of the most interesting ways that GIS is used at Mount Vernon is to help manage the viewshed, all of the geography which can be viewed from a specific geographic location. This is important to Mount Vernon because of the effort to preserve not only the estate but also the view that Washington had of the Potomac from the mansion. 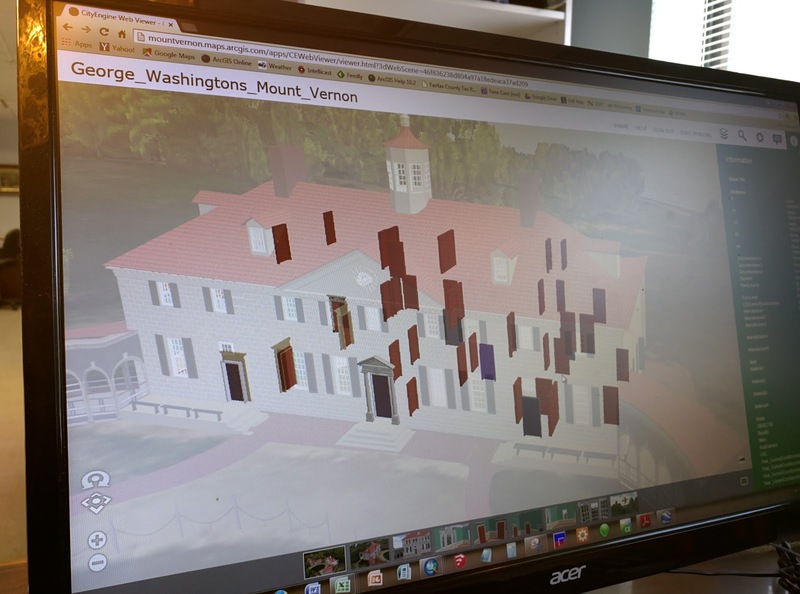 Mount Vernon can use GIS tools which demonstrate how a proposed development across the Potomac will be viewed from the estate while calculating the trees and geographic layout of the area. 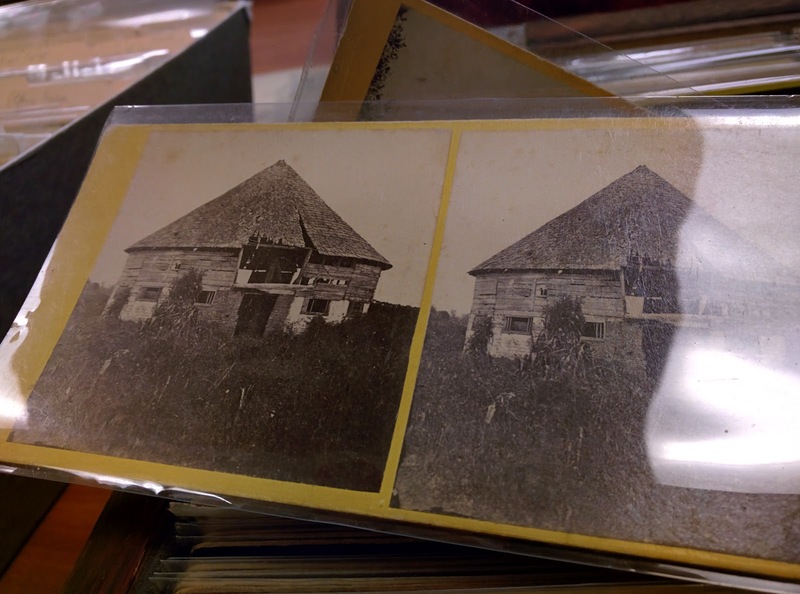 I would encourage you to check out this blog post that Eric wrote describing in detail how GIS is used to protect Mount Vernon's viewshed. 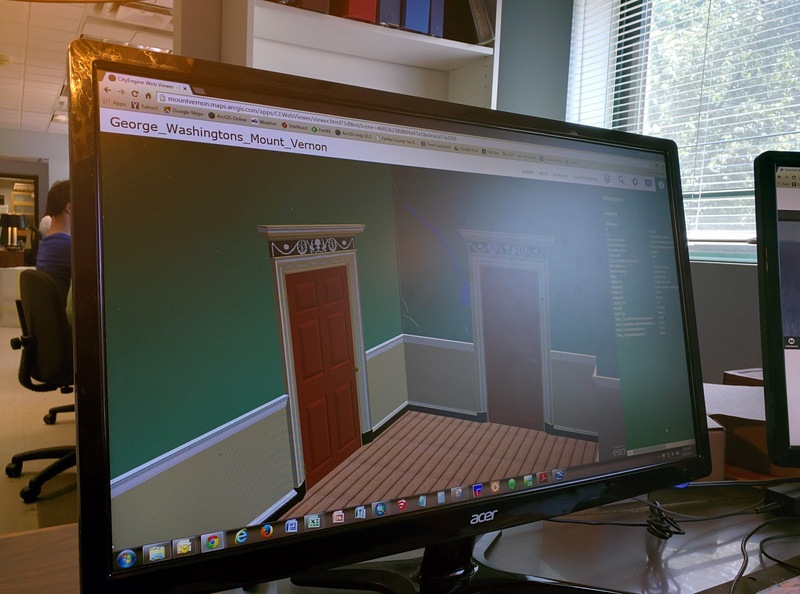 I also visited with Becky, a student intern who is currently using GIS tools to trace the ownership of land from Mount Vernon's five farms both before and after Washington's time. Upon returning to the library I was able to sit in on a panel discussion from the Mount Vernon staff and several guest lecturers on methods of teaching the Constitution in the classroom. Teachers at the institute also shared examples of what works in their classrooms. After the lecture I had some time to visit with Denver Brunsman, an Associate Professor of History at George Washington University. I met Denver last fall while attending the Missouri Teacher Weekend at Mount Vernon. We have kept in touch and I appreciate his perspective on teaching colonial America in higher education. 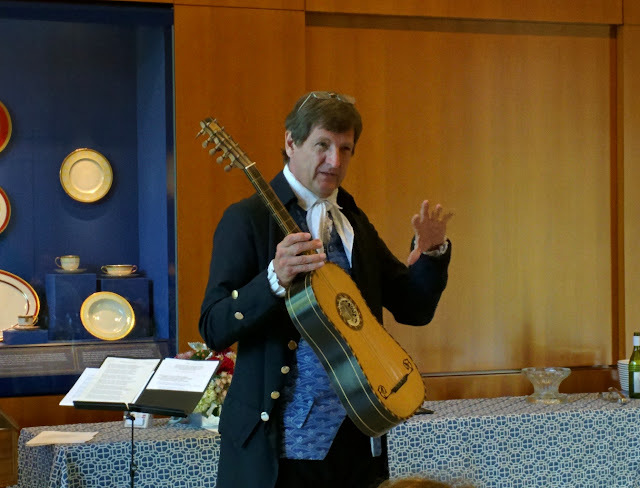 This evening I joined the Teacher Institute participants for an evening presentation on the music of Washington's time with David Hildebrand of the The Colonial Music Institute. He is probably the most knowledgable historian on the topic of colonial music. He demonstrated the harpsichord, the German flute, a Spanish guitar and drums. As you can see, the opportunities available as a Mount Vernon Life Guard Fellow is diverse and plentiful if you want to take advantage of what is available. It is sort of like being in colonial American Disneyland for history teachers like myself. Tomorrow I will be heading in to Washington DC to learn about Washington in the national memory at the National Portrait Gallery.